The Bay of Plenty region is just that. You’ll find plenty of sun, local produce, beaches, walks, fish, hot pools and on-the-water adventures in this vibrant region. Maori have been living here for nearly 700 years, ever since the local tribes arrived by waka (canoe) and landed in this region. Nowadays the long coastal stretch from Waihi Beach to Ohope encompasses the main centre of Tauranga; the holiday hotspot, Mount Maunganui (a.k.a. The Mount); the kiwifruit capital, Te Puke; and New Zealand’s only active marine volcano, White Island. Despite not landing in the region, Captain James Cook named it Bay of Plenty, as from the Endeavour he could see many Maori villages with well-tended gardens. The name of the mountain in Mount Maunganui as you enter Tauranga Harbour is Mauao, which means “caught by the light of dawn”. Climb Mount Maunganui and watch the sunset over the beach, then relax in the warm salt-water hot pools. Take a guided tour of White Island to watch steaming vents and crater lakes that change colour and size almost daily. Go fishing on a chartered boat to the waters off Mayor Island in search of a deep-water catch, or stay on land and drop a line off Salisbury wharf in Mount Maunganui. Tauranga is the main centre in the Bay of Plenty region and is one of the fastest growing cities in New Zealand. It is centred on a spectacular harbour that provides the urban area with an attractive waterfront setting. Across the harbour, the long sandy stretch of Mt Maunganui beach is one of New Zealand’s favourite spots. Further down the coast, Papamoa is a popular surf beach backed by large dunes, renowned for its fishing, surfing and the Papamoa Hills Cultural Heritage Regional Park. Papamoa’s walking tracks offer outstanding views over the Bay of Plenty coastline, and on a clear day you can see Maketu and Whakatane to the south and all the way to the Coromandel Peninsula in the north. Waihi Beach is coastal town in the western Bay of Plenty, offering nine kilometres of sweeping sand, with the historic village of Bowentown at its southern end. There are magnificent views from Bowentown Heads of the Tauranga Harbour. 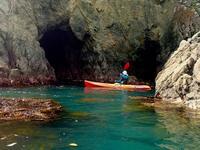 You can also take the steep track down to Cave Bay, popular as a fishing spot. Across the harbour from Bowentown lies Athenthree, a peaceful area with local hot springs, bushwalks and beautiful beaches nearby. Head inland to the small town of Katikati, where its inhabitants have portrayed their history with large murals on walls around the town depicting the events and people that have influenced the area. Located southeast of Tauranga, Te Puke is known as the kiwifruit capital of the world. Its main attractions include a kiwifruit theme park and an adventure park. Around 15 minutes from Te Puke, on the Okurei Point coast, the small town of Maketu is famous for the Maketu Pie Factory. The rocky shoreline of Okurei Point is ideal for walking, with wildlife to discover and great rock pools to explore. At the mouth of the Whakatane River, 90km southeast of Tauranga, the sunny coastal town of Whakatane is the main centre of the Eastern Bay of Plenty. Its location overlooking the Pacific Ocean makes it a natural hub for fishing and marine sports. Off shore, the smouldering marine volcano of White Island (Whakaari) can be explored on a guided tour; the island’s acid lake offering a fascinating insight to nature’s primal creativity. The popular beach resort of Ohope Beach is located on a 11km stretch of sandy shore between the Whakatane Heads and the entrance to the unspoiled Ohiwa Harbour. Also visible from the coast is Moutohora (Whale Island), a wildlife island sanctuary. To the east of Ohope is Opotiki, and beyond that the unspoilt coastline of East Cape. Central Tauranga airport offers domestic service with Air New Zealand. The region has a good roading network, including the Pacific Coast Highway that links the eastern side of North Island, from Auckland to Coromandel, the Bay of Plenty, East Cape and to Hawke’s Bay. Scheduled bus services, shuttles and taxis are available around the main hubs. Self-drive is a popular option to explore the region. Car rentals are readily available at main centres. Spring (Sep-Nov) – warming up, clear days with cool showers, 8-18°C; Summer (Dec-Feb) – dry and sunny, 21-30°C; Autumn (Mar-May) – moderate rainfall likely, 9-20°C; Winter (Jun-Aug) – mostly mild with rain likely, 6-17°C. Headed to Mount Maunganui? Here’s Jasons pick up things to do in the up-tempo coastal town featuring one of the country's top surfing beaches, a buzzing cafe culture and more. Read more. Stop by the Katikati Information Centre and book a tour of our murals which tell the story of Katikati’s history and people. Take a leisurely walk along the Haiku Pathway on the Uretara Stream and read the largest collection of these special poems in the Southern Hemisphere. Grab a permit from Kawerau Information Centre to get access to the spectacular Tarawera Falls. For a tranquil picnic in Bowentown, follow the bush track over the hill from Anzac Bay to Shelly bay. If you are visiting Bay of Plenty, be sure to visit Waihi Beach. It is a awesome little town and has some exceptional wave beaches. Remember to bring covered shoes in summer, as the black sand gets rather hot. But over all, Waihi Beach is a absolute winner. When visiting the "Mount" (Mt Maunganui) make sure that you also visit the hot pools, not to be missed. Climbing the "Mount" in Tauranga/Mt Maunganui is a must do, the views make the climb totally worthwhile and you can always arrange to hand-glide off if you don't want to walk back down!